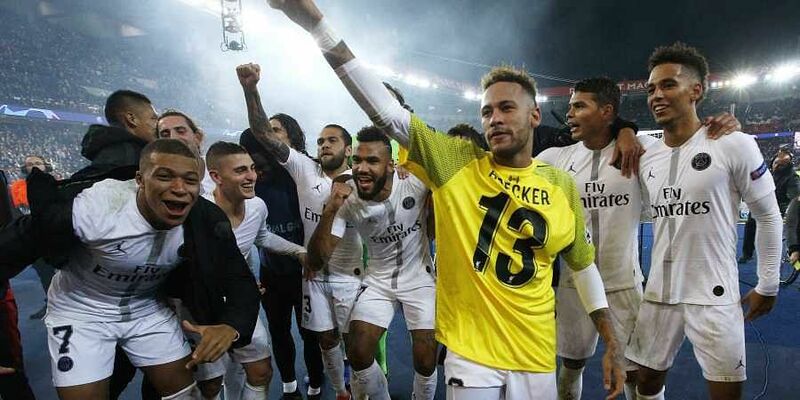 PARIS: Neymar got what proved to be the winning goal as Paris Saint-Germain breathed life into their Champions League campaign with a 2-1 victory over Liverpool on Wednesday that leaves last season's runners-up dangerously close to an early exit. Juan Bernat and Neymar scored to put PSG in control in the first half in the French capital, but a James Milner penalty on the stroke of half-time ensured this pivotal game remained in the balance until the death. PSG knew a defeat here coupled with an unfavourable result in the night's other Group C game could see the ambitious Qatar-owned club eliminated already, which would amount to little short of a catastrophe for them. Such a regression in Europe would be a big blow to Liverpool, even if it could conceivably help Klopp's side in their fight with Manchester City for the Premier League title. The Brazilian had come off with a groin problem eight days earlier but he looked in the mood here, determined to deliver in PSG's biggest Champions League game since they were knocked out by Real Madrid last season without him due to injury. PSG had only won one of their previous seven games in the competition. However, Jurgen Klopp's side were completely overrun in the opening stages at the Parc des Princes. Mbappe tried to square for Edinson Cavani, but the ball broke to Bernat, and the Spanish left-back swept home on his right foot for his second goal in this season's competition. PSG survived that let-off and went on to double their lead thanks to a clearly wound up Neymar. The world's most expensive player had been drawing fouls from opponents and whipping up a fervent home crowd before he burst down the left in the 37th minute, combining with Mbappe. Neymar's 14th goal of the season should have ensured a comfortable cushion for the hosts at the break, but Liverpool were gifted a route back into the game in first-half stoppage time. Marquinhos thought he had restored PSG's two-goal lead within two minutes of the second half starting, but the offside flag denied him after he turned in a free-kick.